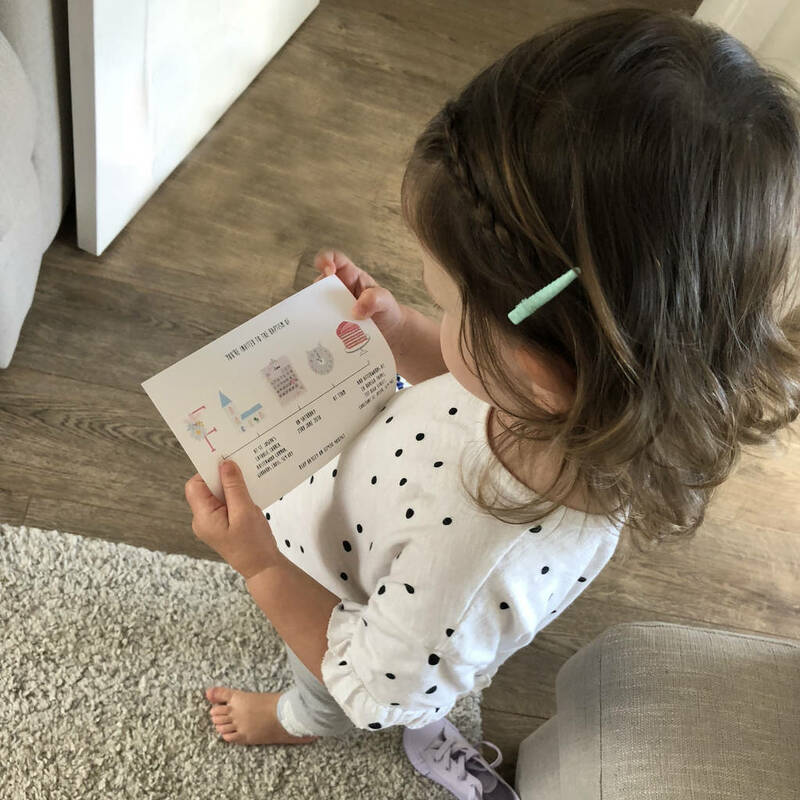 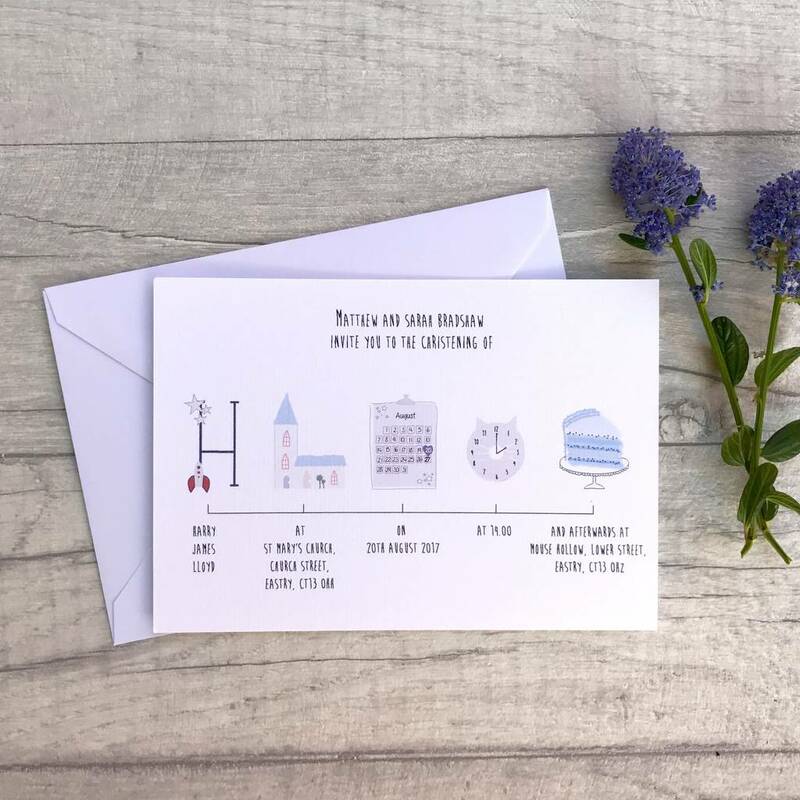 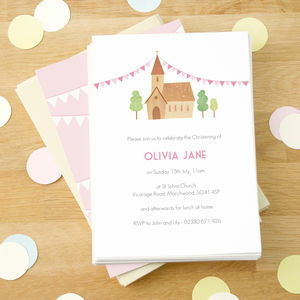 A beautifully illustrated and personalised Christening Invitation, with individual drawings to represent the special details of your little ones Christening Day. 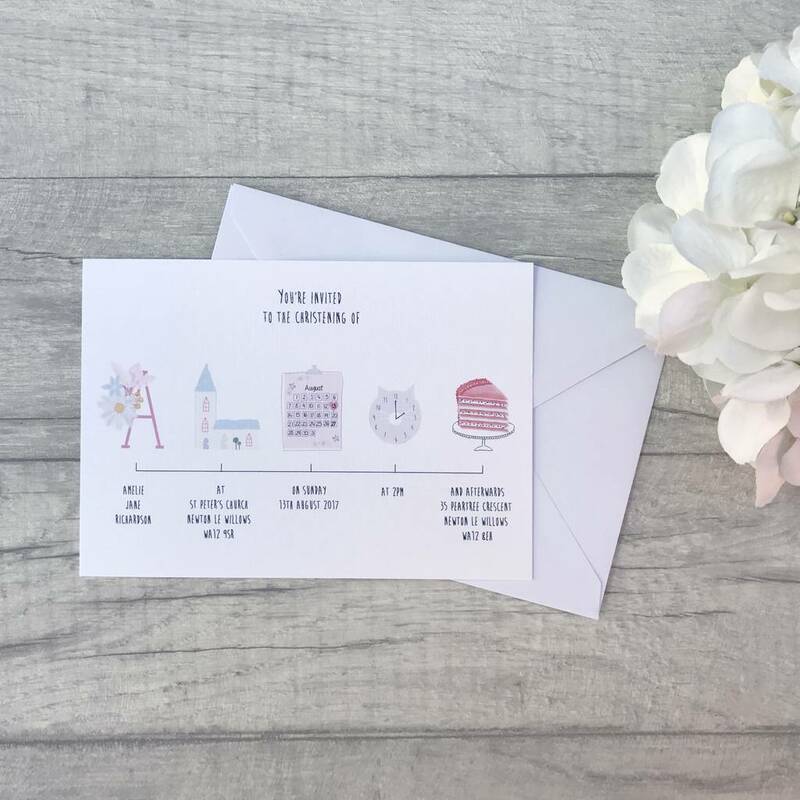 There is a choice of pink or blue for your child’s initial - with either flowers (pink) or a little rocket ship (blue) for this illustration. 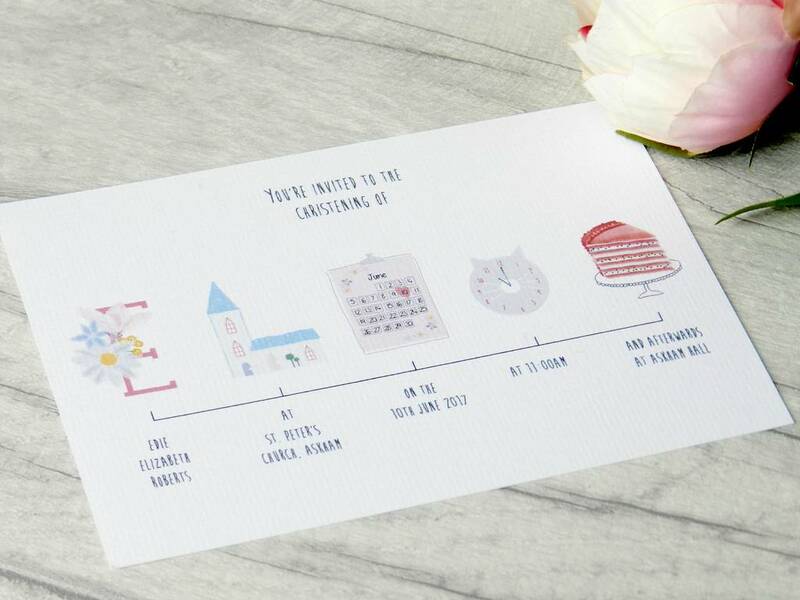 The calendar and clock will show the date and time of your Christening. There are small illustrated flowers (with the pink initial) or stars (with the blue initial) in the corner of the calendar. 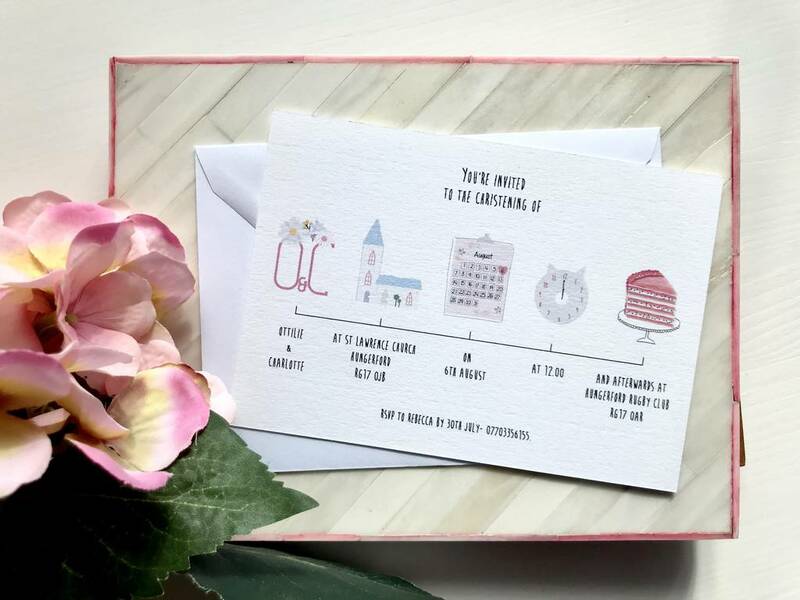 There is a choice of plain white envelopes, which are included in the cost of the invitations, or brown kraft envelopes for a small additional charge. 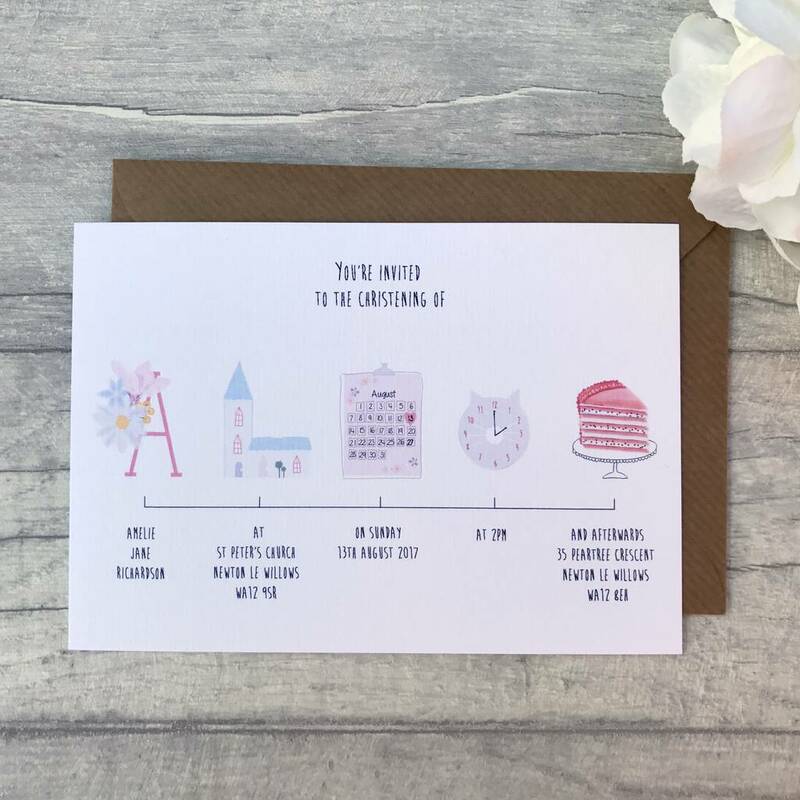 If you would like to amend the colour of the church roof, calendar background or clock, please use the 'ask seller a question' button to discuss a bespoke order. Also suitable for Baptism Invitations and Naming Cermony invites. 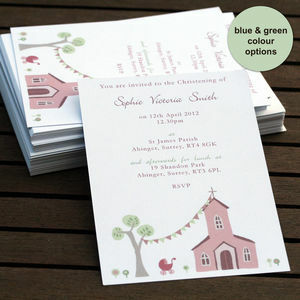 Printed on premium quality, off white 300gsm conqueror laid card. 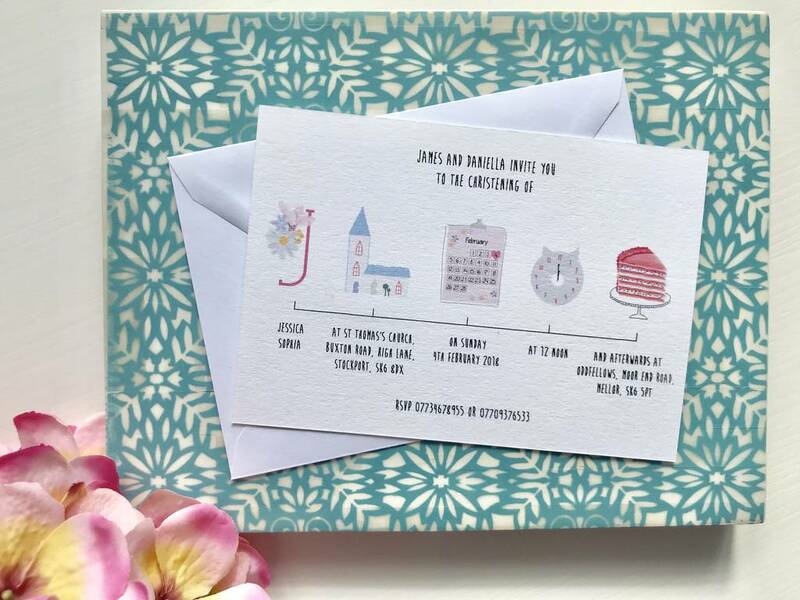 This product is dispatched to you by Paper Pocket.